Join Rhino3DColombia at the 6th version of VANGUARDIA 2018. This year's theme is Evolving towards Parametric Architecture. Julián Oquendo and Ovidio Cardona will be conducting a workshop on Reactive Facades. The seminar employs the most advanced technology and software in parametric architecture, Rhino and Grasshopper. The presenters will be attempting to share an experience with attendees on how reactive facades behave in a specific case. 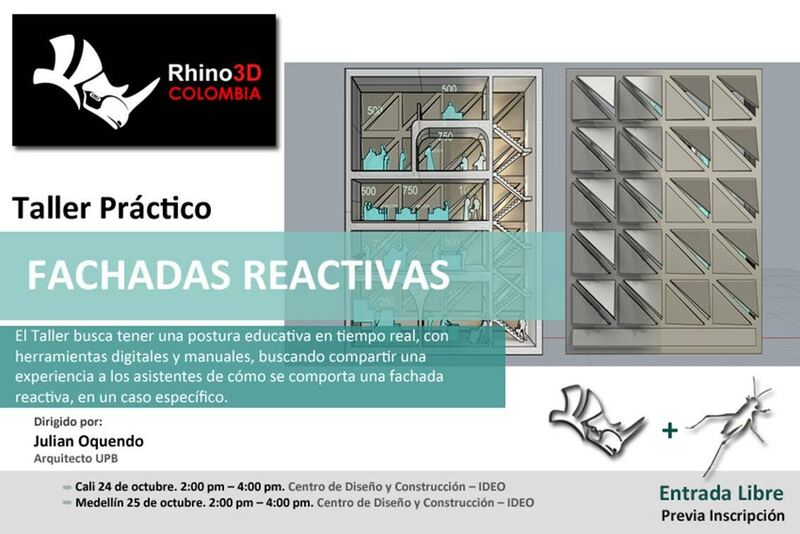 For more information please contact Rhino3DColombia.